Central West Lachlan Landcare have released a new website. You can keep up to date with what is happening in our area and across the State. For upcoming events, go to our calendar and click on the links. This includes Landcare, National Parks Association and other local events at centralwestlachlanlandcare.org (too easy). The Local Land Services have released the 2015-16 Pest and Weed Drought Funding Guidelines. Central West Lachlan Landcare hope to be involved in this program. We would love to hear from you if you have a genuine need for options to address Pest and Weed management problems in your area. We are currently looking at ways to progress with a project application to address on-the-ground issues and increase the capacity of our communities to combat these problems. We would particularly encourage an area (or Landcare Group) approach to issues (not just one property). Please contact me at cwllpo@hotmail.com or 6862 4914 if you are interested in being involved. The Office is looking good. New roof and no hole in the ceiling. It’s only a matter of time before we are back in. We are starting to line up a few events. One of these is a seed collection workshop from the Local Land Services department on 28 and 29 April. We will have the expertise of Mikla Lewis and Ryan Sims. This will be practical, hands on workshop covering: basic species identification; picking seasons – when is the best time to collect seed; equipment – the tools you will need; drying, cleaning and storage of seeds. This is one of just two sessions held in the Central West region, so places will fill fast. Each participant will receive a detailed report listing the species found along with a collection of photographs – all tailored to your property. This survey is $50 or free as part of the Seed Collection Workshop. Please contact Cate Guise at the LLS on 0429 982 197 or email catherine.guise@lls.nsw.gov.au or give me a ring on 6862 4914. Many of you would remember the late Len Reade, who was a champion for Landcare and was an active member of Forbes Urban Landcare. 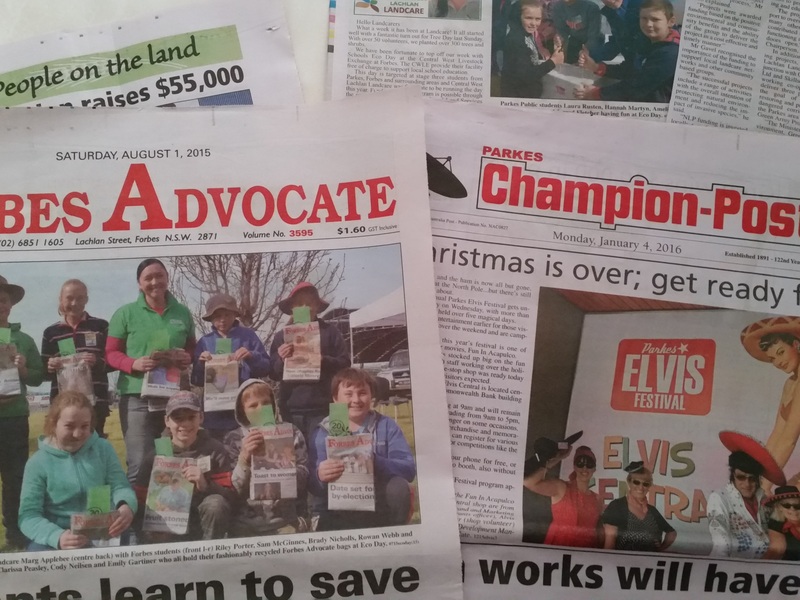 He was a good example to us all in that he wasn’t just a champion for his town, he could see the bigger picture and had an appreciation for Landcare on a wider scale and was a huge encourager for Central West Lachlan Landcare. Len has been recognised through the ‘official’ gazetting of the Len Reade Corridor and we couldn’t be more pleased! Just a reminder about the ‘More profit from Crop Nutrition’ presentation at the Parkes Services Club on Wednesday 9 March from 9am – 3.30pm. Find out about nutrition advice pre sowing. They will be providing an overview on topics including crop responses to trace elements, water use efficiency on Central West soils, wheat and canola research and frost damage in the Central West. The next NPA Walk is heading to Goobang Creek on Wednesday, 9 March. Meet at Lions Park, Parkes at 8.30am. Please contact walk leader, Peter Cannon on 6866 1225 the night before if you are planning to attend. 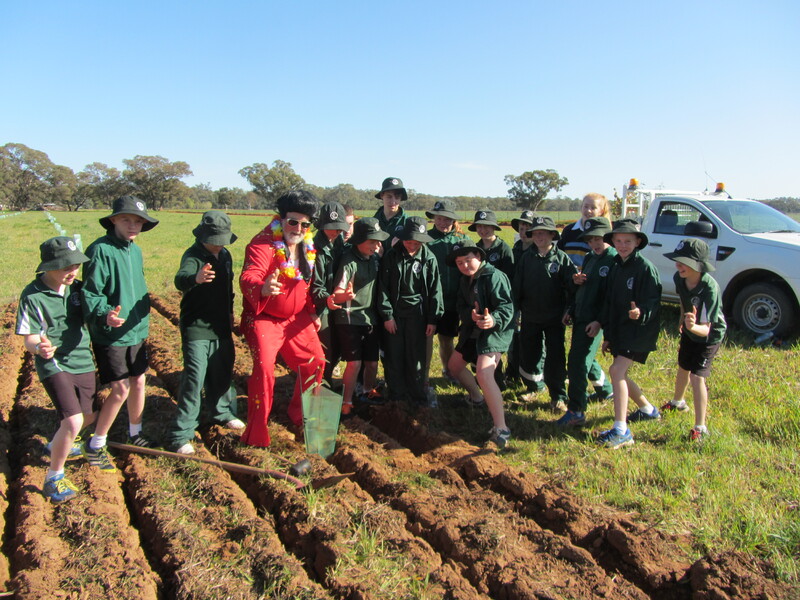 Hopefully we will see you are the Parkes Field Day on Friday, 11 March from 10am. Bring your ideas and be inspired by our local businesses. I would love to catch up and talk about the future of Landcare in your area.